Why are people so timid to seek help? If you aren’t, you may be in the minority. Even though we live in the most globally connected age ever, we still struggle to swallow our pride and admit we need help in certain areas of our professional and personal lives. That’s no different for freelance translators. You face numerous challenges when it comes to professional development and growing your business. But imagine if there was a place for freelance translators to go where they could have access to ask one expert anything in his or her area of expertise. That’d be great, wouldn’t it? If you’d love to be able to pick one expert’s brain and develop professionally in this way, you’re in luck! 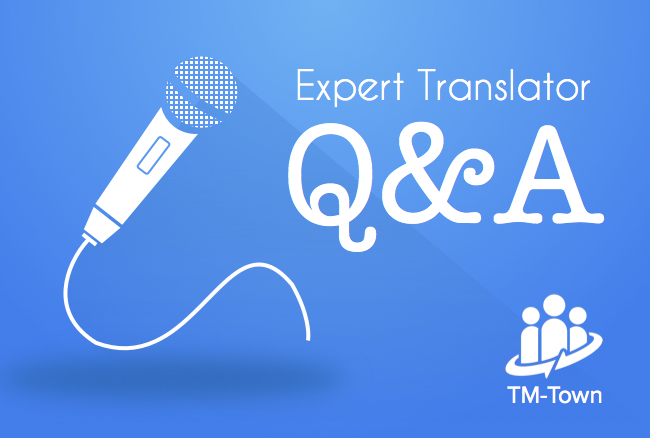 Today I’m happy to announce that we’ve released version 1.0 of Expert Translator Q&A. How is it different from a typical forum? Unlike a forum where one user starts a topic and others give their advice, we personally go out to the experts we know in the translation industry and ask them to answer questions on one area that makes them an expert. You then get to ask them any question related to that topic and get direct answers back. It’s like becoming the interviewer of someone you would otherwise rarely ever get the chance to talk with. We’re talking about people who have mastered a certain translation tool, experts at one aspect of building a translation business, or the creators of tools and services that translators love. But unlike a completely live Q&A like a Google Hangout, these will be semi-live events. That means you don’t have to worry about only getting to see a recording because you’ll have a few days of access to ask questions and comment, but after that, you can still view the questions and answers that were submitted. So even if you’re unable to stop by and ask your own questions, the conversations will be there to serve as an excellent resource. However, it’s our hope that by making the events last a few days, translators all over the world in any time zone will get the chance to participate by asking their questions or contributing their own expertise. Register and get notified for our first ever Q&A events. To launch this all new format for Q&A, we’ve put together three simultaneous events that you’re sure to love. Click on the links below to register for any or all of the three events below that appeal to you. Register today and we’ll let you know when the events are live, as well as send you a daily digest of the action so you don’t miss the top questions. It’s our hope to create regular events with professionals answering questions on the topics you want, so please feel free to suggest anyone to us by emailing info@tm-town.com. Lastly, if this news comes as music to your ears, please take a second to click on one of the share buttons or forward this link to your colleagues. See you at one of the events above! If this article was helpful, please share it.